A PVSITES spin-off project has been launched in October 2018. Some partners from the PVSITES consortium have joined forces to implement the BIPVBOOST project. 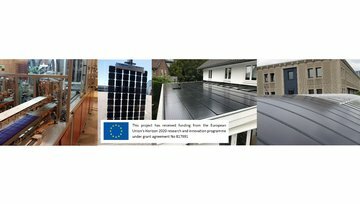 BIPVBOOST is a new Innovation Action at European level, funded under the Horizon 2020 programme which aims at bringing cost down of multifunctional building-integrated photovoltaic (BIPV) systems by 75% in 2030, limiting the additional cost with respect to traditional, non-PV, construction solutions and non-integrated PV modules, through an effective implementation of short and medium-term cost reduction roadmaps addressing the whole BIPV value chain and demonstration of the contribution of the technology towards mass realization of nearly Zero Energy Buildings (nZEBs).